So I’ve mentioned that I have quite the magazine habit. In Style, Lucky, Vogue, Elle, Harper’s Bazaar…I get them all. I look at the pretty pictures, and when I can, I read the articles. Usually they’re about how to style your hair or prevent split ends or achieve a smoky eye in less than two minutes. However, sometime last winter all the fashion magazines started extolling the virtues of expensive juice fasts and liquid detoxes and waxing enraptured about the wonders of a week without actual food. Almost immediately this got in my head, and hung on like a dog with a bone. The next thing you know, I’ve plunked down a couple hundred in herbs, tinctures, and organic fruits and vegetables – the poor man’s juice fast. The ones I’d read about magazines involved going to a spa where they prepare everything for you or a delivery service where everything was pre-made and brought to your door. Not so much with my budget effort. It was labor intensive food deprivation. Kind of like a concentration camp you set up for yourself. Anyway, the idea behind a juice cleanse is that it will help your body purge the toxins you build up in your system during the course of your everyday life. Someone had suggested that the fact that my pee smells like coffee after I drink coffee (apologies, as I know that’s TMI) is because my liver wasn’t working up to speed. This may or may not have any basis in reality, but it got me thinking that maybe my body was crying out for an opportunity to purge itself of all kinds of horribleness? And I started to feel for my poor liver and overstressed kidneys and ravaged colon, and a week of juice seemed like the least I could do. There are all kinds of cleanses, but for reasons I can’t quite recall, I decided to go with “The Herb Doc” – Dr. Schulze’s American Botanical Pharmacy. I think this was in large part because I suspected I went to college with and was once quite friendly with his son, but that’s a long story for another day. Anyway, and perhaps not surprisingly, I decided to do the liver cleanse, which took five days. They recommended doing it from Monday through Friday so that you were less likely to goof it up while at home or with friends over the weekend. Although probably sound advice, I was working from home at the time, and this turned out to be the longest five days of my life. There’s something about the combination of juice, raw garlic, and loads of oil that is so very, very wrong. I honestly think the ginger is in there to keep you from throwing up. Anyway, if that weren’t horrible enough, fifteen minutes after you choke down this vile mixture, it’s time for your two dropperfuls of ‘Liver/Gallbladder Anti-Parasite tonic’. This I would put into grape juice to mask the flavor. It didn’t work. I’ve never drank poison, but I think I now know what it would taste like. From there, you just juice it up. For breakfast you have fruit juice, and for lunch it’s diluted fresh raw vegetable juices, potassium broth (basically a boiled up drink made of stuff you would normally put into a compost bin) , and herb teas. For dinner, it’s back to fruit juice, and the sad lonely feeling that your vital organs are shriveling up. Now in all fairness, I will admit that by Thursday I felt pretty freaking good. Kind of invigorated and energized, although maybe that was just an adrenaline rush caused by my body’s fear that I might starve to death? Regardless, in the strangest way, when Friday came around I almost wanted to keep going. Not with the gag-reflex invoking garlic oil drink, but with the juices and the teas and the ascetic lifestyle. It didn’t hurt that I’d lost a couple pounds in the process. With Thanksgiving just days away, I can’t help but thinking about maintaining my girlish figure while knee-deep in food…and the detox came to mind. Nonetheless, although I still have enough tinctures and herbs and tea mixes left to repeat the detox this winter, I think I’ll just try to take it easy around the Christmas cookies, put down the glass of eggnog, and run a few extra miles each week. Don’t get me wrong, I’ll pig out and overindulge…just not so much so that the only way to recover involves drinking the liquified contents of a compost bin. Salud! So after three weeks at home, it was time to get back out there and do some traveling. 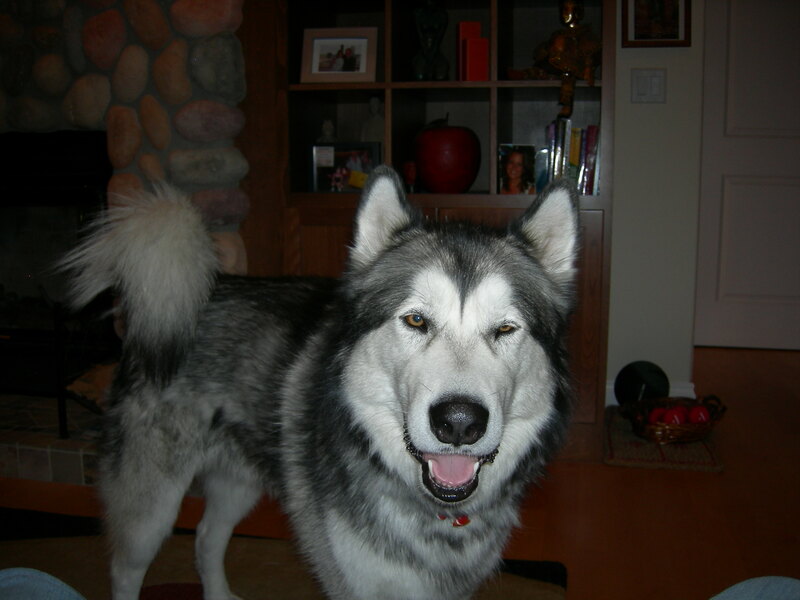 However, poor Dozer (my soft hearted Alaskan Malamute) suffers from residual mental duress caused by losing his sister and then me in a week’s time back in July. Whenever he’s given a bone or a toy since Pixie passed, he roams around with it crying and crying and crying. It distresses the hell out of me. So effectively both of us suffer. Anyway, when an opportunity to go on a little journey arose, it didn’t seem right to leave Doh behind. So I decided to drive and take him with me. On paper (or screen), this might actually sound like a good idea. However, truth be told, Dozer has led a pretty sheltered life, and it doesn’t take much to move his cheese. In fact, throw a coat over the back of a chair, and he’s liable to be spooked for half the day. Ummmm? What? A MONTH before? Oops. Create the expectation. Even if your animal is accustomed to riding in a car to the vet or groomer, take her on some short trips to other destinations. Walk her around some new places, and let her sniff and explore at her leisure. New smells and new places are highlights in a critter’s life — almost as good as treats! 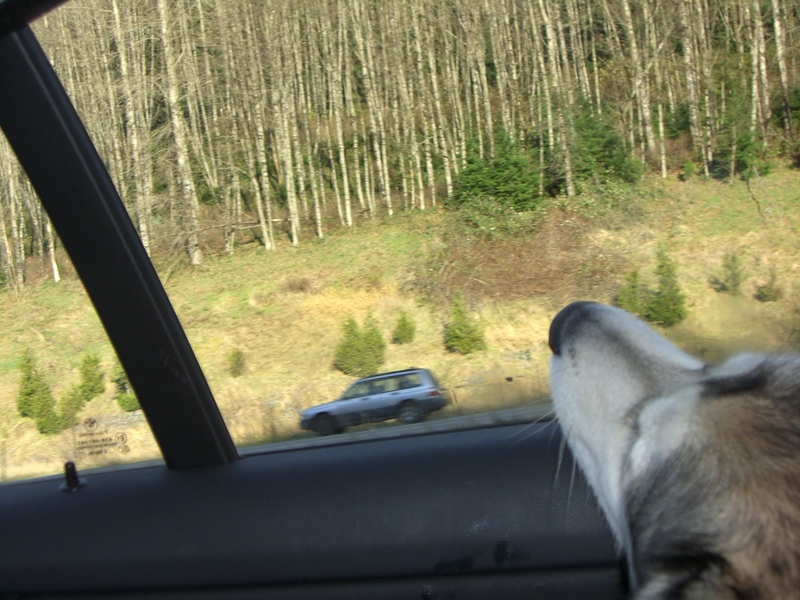 These little warm-up road trips can create the expectation in your pet’s mind that a car trip will be fun — not just a ride with a rabies shot at the end. Oops #3. Hopefully we don’t need one these cause we don’t have one! If you do not already have a dog harness for riding the car, consider purchasing one for your dog’s safety. They are usually sold at pet stores or on the Internet. Before you head out, put on that doggie seat belt harness. Hard to do when you don’t own one. Oops #5. Bring a current color photograph of your pet. If something happens you can easily show other people what your errant buddy looks like. If need be, you can easily make copies of the photo to assist in the search process. Hmmmm… Under the law of attraction this seems like a bad idea. I could get my hands on a picture if I had to. But I won’t have to. Some hotels are so pet-friendly that they have treats waiting when you check in. We recommend that you not give these treats to your critters, having found from experience that it is much better for them to eat as consistent a diet as possible when they are on the road. And in conclusion, oops #6. I’ve let him eat everything offered by friendly humans. Hopefully this does result in an explosive outcome that I have to clean! Although I managed to mess up most of the tips, we made it here in one piece, and without much ado. By and large, I listened to motivational Tony Robbins CDs loaned to me by a friend, and Dozer slept with his face smashed up against the back window. Meanwhile, we’re learning some new things about each other. Like that I can’t sleep through the sound of a dog whining. And that there is pretty much nothing more gross than walking around carrying a steaming bag of poop. 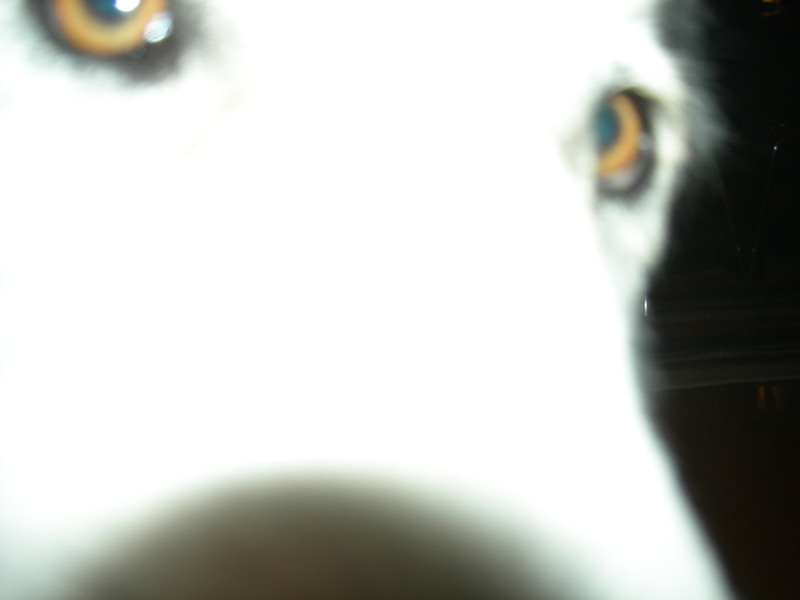 And that he has some separation anxiety if left alone in strange places, that manifests as loud crying and howling and a concerted effort to beat down the door until I return. In hindsight, I wish I had some doggie downers or a tranquilizer gun, but I’ll make a note of that tip for next time. On the other hand, the more things change the more they stay the same: Doh remains consistent in his easily spooked and high strung ways. Walking down the street we passed a Washington Mutual branch with a large stuffed toy horse visible through the window (presumably some kind of a Christmas decoration and nice to see the government bailout funds are going to such good use) and he went into complete and total shock and alarm. “It’s stuffed,” I told him. “It’s not real,” I continued, not at all concerned that talking aloud to a dog might be perceived as sad or even crazy by those passing by. Alas, it was for naught and he remained riveted on the vision of this giant white faux fur creature attempting to determine whether it was friend or foe and sizing up how to get inside the branch to fight it. ***sigh*** Reasoning with Dozer is like talking to a dog. Have you seen the ads about the apps for the iPhone? How about the one where if you don’t know a song, you hold the phone up to the source and within seconds it tells you what’s playing and where to buy it? And I don’t mean you hold the phone up to your iPod or some other device that the iPhone is designed to ‘talk’ to. I’m saying you hold it up to your car radio or TV or the ceiling of the Gap and it figures it out. It’s call Midomi, and it scares me. I think this could be the beginning of one of those ‘end of days’ scenarios where the computers take over and we’re just hanging out in liquid-filled cocoons providing them battery power. Sonic Lighter – although there are apparently almost a dozen free lighter apps, people can’t wait to pay $.99 for Smule’s Sonic Lighter. Apparently they’ve built in social and viral features such as the option to share your geographic location information with the application, and when you light it you show up on a virtual earth-like globe. The longer you leave it on, the more “kilojules” you burn, and now teams are competing to be the brightest on the globe. Someone needs to get France and Japan some more entertainment, because they’re apparently leading the pack at this. Oh, and you can blow on the microphone and extinguish the flame, which I must admit is beyond cool. Ocarina – the same company has now introduced Ocarina, which apparently allows you to be a one-man Peruvian band with just your phone. It’s named after an ancient flute-like wind instrument, and lets you play those haunting, South American-esque tunes by blowing into the iPhone microphone and hitting the virtual buttons. Moreover, you can hit a button and listen to what other Ocarina users are playing around the world. It’s social music, and probably the beginning of a whole new arm of the virtual connectedness that marks this century. 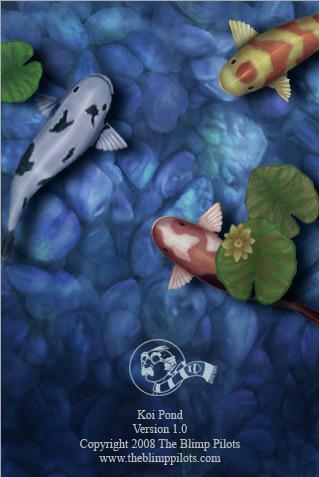 Koi Pond – This is a virtual fish pond where you can change the water color, amount of fish, lily pads in the pond, the different animal sounds you hear, and switch it from day to night. You can shake the iPhone and feed the fish, tap the pond to scare the fish, or leave your finger in and watch them eventually swim up to you. Nothing else happens. You don’t get smarter. You still have no idea what string theory is. You don’t make business contacts. But who doesn’t love koi? Oh, and get this! Remote turns your iPhone into a remote control for your computer. This app lets you pause, fast-forward or rewind anything you’re watching or listening to, or switch to a different playlist. It also operates the ‘Apple TV’, a device that sends music, photos and movies from your computer to your television. Wow. And last, but not least, Shozu. When you take pictures with the iPhone’s built-in camera, Shozu links the phone with sites like Flickr and your blog and posts them right away. This would’ve been a lifesaver on my backpacking trip, when I never had enough bandwidth to get the pictures loaded in under an hour. I may just have to start a blog-based fundraiser to finance one of these before the next big trip! 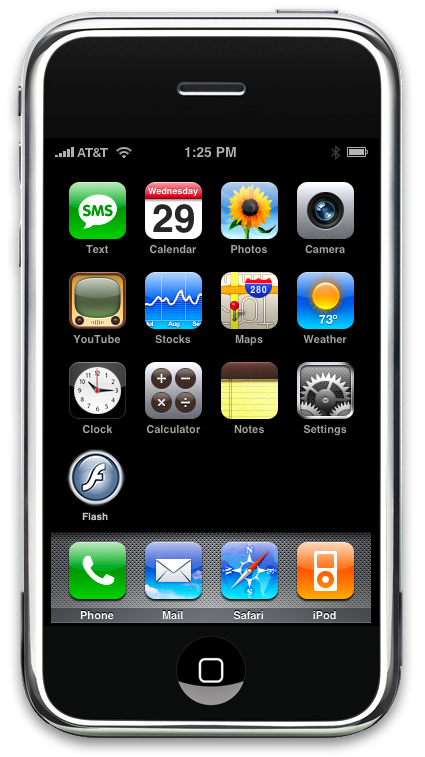 So as it happens, all this talk about these apps makes me want an iPhone. Bad. I don’t care that the phone is transmitting information back to an unknown source and that it’s occasionally scary and may signify the downfall of the human race. Bring on SkyNet and the rise of the machines! As long as I can play my electronic pan flute, I don’t care! So yesterday someone was telling me about a doll that allegedly spouts pro-Islamic messages. My friend was meeting with a customer, the father of young girls, who had a doll in the office that kept repeating a ‘subversive’ message. What’s that you say? Color me intrigued. Are the good people at Fischer Price actually Islamic fundamentalists!? The same people who created the beloved “Little People” of my youth!? Did anyone else have the Sesame Street set seen here? I seriously just had a a portion of my life flash before my eyes just looking at this picture. If you ask me, I really can’t tell what the doll is saying except “light” or “night” or “right” or something like that at the end. Otherwise, it sounds like babble. Annoying babble. And I think maybe she told me to rob a bank and send half the money to the NRA, but I could be imagining that part. Why not give atheism a try? This idea you can have for free. I’ve got more important projects to work on. Like deciphering the Satanic messages in Stairway to Heaven (played backwards, of course).